Let me start by asking you a question: is your tech toolbox relatively empty, or is it so full that it’s hard to find the best tool for a particular job? Regardless of what you answered, you’re not alone. Almost half (49.5%) of PR practitioners and communicators say their organisation doesn’t use technology effectively in their PR and communication programs, according to the recent state of digital PR survey, a global initiative conducted by Mynewsdesk in cooperation with Berghs School of Communication. One thing is clear, the role of technology is growing. Rapidly. 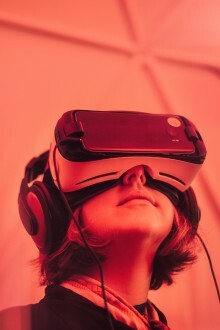 More than 85% of practitioners expect the focus on technology and digital PR to increase significantly in their organisations in the next five years. Enable companies to increasingly reach stakeholders (89%). Allow PR practitioners to focus increasingly on personalized as opposed to mass communication (83%). Give PR professionals more control and oversight of messages (82%). Provide tech-savvy communicators with greater career success than less-experienced peers (76%). What tools are professionals using? The study shows that many PR practitioners use multiple technologies, each focused on a single area, such as analytics, email, social media, media monitoring, etc. Their toolboxes must be the overcrowded, inefficient ones. 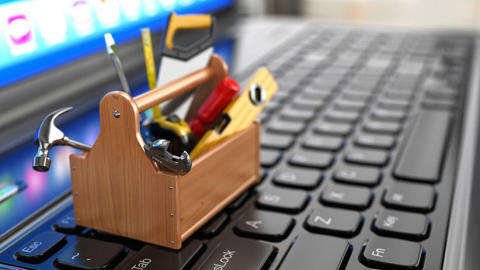 A well-built and adaptable technology toolbox is essential to ensuring your digital PR program is successful. 68% of effective PR professionals feel that their organisation uses technology effectively within PR & Communications. Compare that to those that feel ineffective, where close to 77% say their organisation doesn’t use technology in the right way. A clear connection of mastering technology and excelling in digital PR is evident. However, the marketplace is (over)crowded with marketing technology tools – all of which promise to help practitioners and brands be more successful in their communication efforts. Technology can fuel creation, production, distribution, measurement, or any combination of those four activities. Just take a look at the image below, featuring the six most commonly used tools, and you quickly realize that it’s not easy to pick the right tool(s). Download our report Global study sets stage for the digital PR revolution for more stats and info. Don’t be overwhelmed at the thought of creating an effective digital PR strategy. Start small: it doesn’t need to tackle every possible opportunity at your company. If you make it realistic and manageable, you’re more likely to achieve success on which to build and grow the strategy. Last week, Mynewsdesk was invited to present at Content Masterclass to share our years of content wisdom with a room packed full of marketers, communicators and PR pros. Here are my 7 key takeouts from the afternoon which might help you when trying to navigate the quandary that is content marketing.